Hello, Jolene Navarro here checking in from the Texas Hill Country. I’ve started a new series that tells the story of four sisters. Sisters that was raised in a lumberyard by their single dad. Sister relationships fascinate me, and I fell in love with the fictional Bergmann sisters as a family as much as I did the men they each making a future with. I’m the oldest of three girls, no brothers. My mother was the oldest of four sisters and one brother. Her mother, my grandmother, is the youngest of three girls, so to say I have experience with sister relationships might be an understatement. Me and my two sisters. My sisters, my aunts and my great-aunts, have all been a huge inspiration in my life. From the joy of holidays, family gatherings and trips to the tragedy of failures and loss, they are there. They are also the first ones to point out what they might see as something you need to improve on. LOL When a conversation starts with “Can I be honest” never ends well. So when I started creating my fictional family of four sister I had plenty to draw from. To say the least sister relationships are complicated. Bouncing from unconditional love, tons of laughter and support to deeply hurt feelings and at times petty arguments. More than anything it is love and support thorugh the good and tough times. In August I got to introduce Nikki Bergmann, the oldest sister, in Texas Daddy (still on sale for 1.99). Joining the Navy right out of school, she returns after twelve years with a secret she kept from everyone. 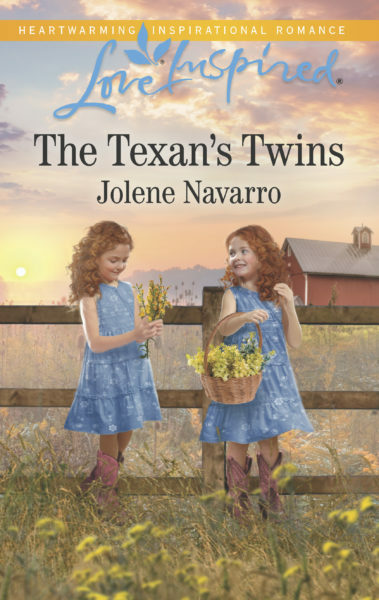 Her and single dad Adrian De La Cruz get their story in the first Lone Star Legacy Series. Danica’s story is the next one to come out, and I just got her cover, so this is my official reveal of her twins and the blub. It was a challenge writing a secret husband story, but I loved every minute of getting to know Reid McAllister. And I have to say those twins just stole my heart. You are the first to see the cover! I just love these girls. Danica Bergmann is working hard to find a balance between her dream of a wildlife sanctuary, managing the family lumberyard and her stubborn father that refuses to change, while she is trying to raise her six-year-old twin daughters, alone. She thinks one of her prayers have been answered for the sanctuary when she gets news of a volunteer with a wildlife management background. To her horror, Reid McAllister walks in, the husband she never told her family about, the father of daughters that he doesn’t know exist, the man that walked out on her one month after he vowed to love her forever. Reed was too ashamed to tell Danica that he was arrested and in jail. Five years later and he is out and at her doorstep. He plans to apologize and move on, but then he finds out about her twin daughters: his twin daughters. He knows he doesn’t deserve to be in their lives, but he can’t walk away. He has to find a way to redemption and to gain the trust and love that he lost. At times while writing these stories (working on Jackie’s Christmas story as you read this), the sisters have taken over. That’s what sisters do, right? 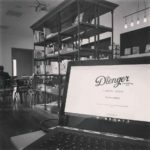 Do you like reading series based on families? Do you have a preference over brothers or sisters? If you have a favorite sister or brother series that you think I should read, tell me about it. Hi Jolene! Thanks for sharing your family history and inspiration to the sister series. Never had a sister. Had a father, brother, husband, 3 sons and 2 grandsons, before we were blessed with a granddaughter in 2013 and another granddaughter in January 2017. Been fun to watch the little girls develop. My husband comes from a long line of males. For years I lived in a male dominated household. As a teacher, I related well with boys in my classes. The twin cover is adorable. Best wishes. Jolene! I really enjoy the Blume Sisters in Marion Ueckermann’s Seven Suiters for Seven Sisters series! Love the flower names and international setting! Thank you. I will put that on my too read list. LOL I bet you have boy stories galore! Thanks for your thoughts today and for the book blurb. So much fun! I do love stories about brothers and sisters. My favorite…probably the Alaskan Courage series by Dani Pettrey. I also have loved Hawthorne House series by Kristi Ann Hunter. And Shadows Over England (though not technically family) by Roseanna M White are fantastic. I read the Hawthorne House series! Loved it! Thanks for giving me more to look up! your cover is fantastic. what a great idea drawing from family like that. I have a series of a brother and sister that is super wonderful. Historic, Christian based. I love the titles! I have to add those to my collection. I love cowboy brothers! It does sound like a series I would enjoy! Hope you get to talk to her on a regular bases at least. Thanks for stopping by. I love that cover with the twins on it. They’re adorable. I think my favorite sibling series is Dee Henderson’s O’Malley series. This group of kids are all orphans or abandoned as children. They choose to be a family and even choose a last name for the group. They each get their own story as adults in the series. I loved the family dynamics between the members. That sounds like the kind of book I would love. Thanks! Gorgeous cover, Jolene! And the story sounds fascinating too! I love series that follow families–my first series follows a family. So many different dynamics can be at play, so much inborn conflict. I look forward to reading your books, Jolene! So true about the inborn conflict. lol What is the name of your first series? Great cover – the twins are adorable! I grew up with brothers and my closest cousins were boys and now I have a son. As you can imagine, I’m looking forward to reading your series – and yes, I do like a series that interconnects its characters especially family – about sisters. My favorite series have been listed above: Alaskan Courage and O’Malley series. I’ll have to get those series – you are the 2nd to list them. 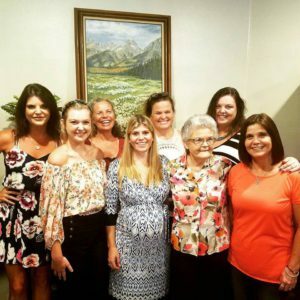 I grew up the youngest of five sisters, so I totally get the basic scenario! We’ve lived very far apart as adults, but had a sisters and spouses reunion in June 2016. I tell you, family dynamics and pecking order never really change! I haven’t written a specifically sibling series yet (say that three times fast!) but have a couple of ideas on the back burner. Often my series include siblings and friends in a community setting. LOL I watch my aunts at every family gathering (about three or more a year) and I would bet many of the same conversations happen. My little sister swears we don’t treat her like an adult. She is 39 and the mother of two almost grown girls. With your background you have to write a sister series. :) It was really fun. So nice you have sisters, and wonderful ladies in your family! I’m an only; had one; she had one…..way too small family! I LOVE reading about families. Enjoyed Myra Johnson’s series Flowers of Eden featuring sisters. Flowers of Eden! Love that name. I have no sister, just one brother. I love reading family book series. My favorite is the Baxter series by Karen Kingsbury. It’s even being made into a TV series. I always wanted a brother. lol. I have read that series and I agree. It is a good one. I enjoy the Blume sisters. Each one pursues different pursuits and jobs, but they all have strong personalities. Thank you! I fell in love with those twins. I enjoy reading series with siblings and it doesn’t matter if it’s brothers, sisters, or a mix. Two sibling series that I recommend are the Porter Family series by Becky Wade and the Hawthorne House series by Kristi Ann Hunter. Thanks for stopping by Ellie. I will add the Porter Family to my list. I do love the Hawthorne House series. I had a sister, but she was 11 years younger than me, and adopted, so our personalities were really different. We loved each other, but didn’t get along well when we were young :-) A lot of my cousins lived nearby, so they were like siblings (and we’re still friends). I’ve enjoyed Melissa Tagg’s series about the Walker family, and Kimberly Rae Jordan’s about the Callaghans and McFaddens. Thank you Margaret. 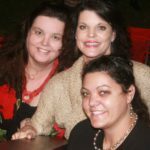 My youngest sister is 10 years younger than me – I have to say our relationship was different that the one I have with the sister that is less than two years younger than me – now as adults we get along better, but she claims we still treat her differently. lol I also have some cousins I’m very close to. I have one brother who is 9 years younger than me and a sister who’s almost 11 years younger, and I live clear across the US from them now. I never really got to know them as an adult and I don’t travel enough to visit. Thank goodness for Facebook! The one thing that bugs me about Love Inspired, they don’t always put the series on their covers (ie:Lone Star Legacy) so I can’t always tell if a book is part of a series. I’m one of those readers who like to read a series in order, I really don’t like it when I find out I’ve read a book and it’s part of a series! I also like to have every one of them :-) But the flip-side is with LI, they aren’t cliffhangers at the end. That’s a bonus! I love the twins on the cover. I have two sisters and a brother. Thank you so much. I’ve never had just kids o n my cover. It will interesting to see how they do. So your brother was the only boy? LOL Does he understand women better because of it?